This wonderful book was illustrated by the author’s son when he was seven years old! 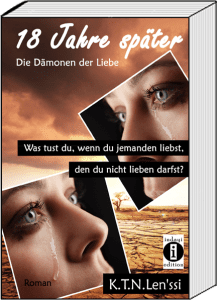 It is also available with colour illustrations and in German! This series of books will bring a breath of fresh air into the world of children’s books. Over 15 volumes are planned, with funny, breathtaking, moving and exciting detective stories. 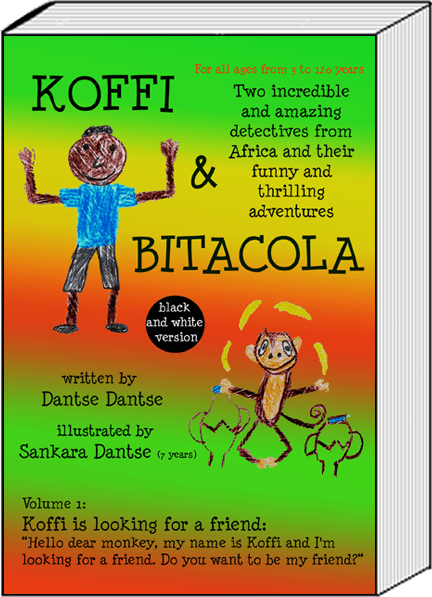 The adventures take place in Africa and all over the world, filled with nature, animals and many things to learn. Stories full of secrets, amusing nonsense and fun, just like adults and children love them. I address real topics that deal with real people and with the future of our kids in a thrilling and humorous way: Values, our environment, animals, learning topics, friendship, loyalty, reliability, helpfulness, trouble, sadness, separation and reconciliation, forgiveness, tolerance, solidarity, respect, courage, faith, patience and many more. My books show kids positive possibilities, they let them dream, strengthen their self-confidence and self-assurance, give them the courage to try new and difficult things. They learn to see the good in things and to take a stand for it, to be there for each other, and to know – even though they are kids now – they will be able to make a change: They are the future.